Data released by the Energy Information Administration yesterday showed the weekly commercial stockpiles in the US rising for the sixth consecutive week to 9.35 million barrels, more than the forecasts of 2.5 million. WTI Crude Oil prices for May contracts fell by over 3.60% following the data. Top economic advisers in Germany lowered the Eurozone's economic powerhouse growth and inflation forecasts citing "weaker external environment" with growth and inflation staying subdued into next year. Growth forecasts were cut to 1.50% from the previous estimates of 1.60% for 2016 while growth is expected to rise to 1.60% in 2016. German inflation forecasts were cut to 0.30% this year from the previous estimates of 1.20% due to lower energy and fuel prices, while for 2017, inflation is expected to rise 1.40%. 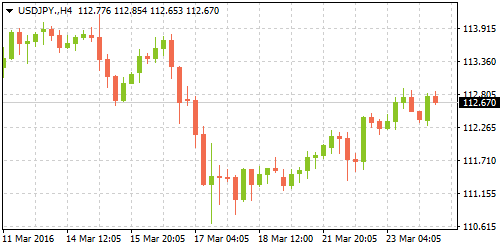 Consumption led growth is expected to propel the country's economy according to the advisers, supported by a robust labor market and the ECB's accommodative monetary policy. 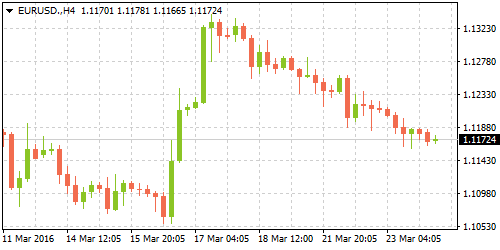 EURUSD remained subdued led by a broad strength in the US Dollar. New home sales data released by the Department of Commerce yesterday showed a 2.0% increased in the month of February, missing forecasts of 3.20%. But the data painted a favorable picture with upward revision to January's data from 494k to 502k a revision from -9.20% to -7.0%. The data managed to offset the existing home sales data released just a week ago which showed sales of existing homes falling to the lowest levels in a period of 12 months. Regional data also continued to point to slowing gains in the housing market despite low mortgage rates and strong growth being seen as a positive for the housing markets. Monthly durable goods orders from the US is expected to erase the gains from the previous month with forecasts of -3.0% decline on the headline while the Core durable goods is expected to fall -0.20%. The dovish forecasts come after durable goods surged 1.80% on the core and 4.90% on the headline, which saw the highest increase on a month over month basis in more than a year and a half. The dovish estimates are based on declines in orders for aircrafts from Boeing which is expected to be a major contributor to the forecasted fall in durable goods orders in February. Following the data, US weekly unemployment claims and flash services PMI will be released. Will UK retail sales help stall GBP’s declines? 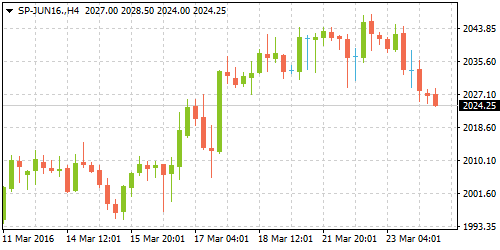 Retail sales numbers from the UK are due today with broadly dovish expectations, forecasting a decline of -1.0% on the core while the headline number is expected to shrink -0.70% for the month ending February. The forecasts are in contrast to the 2.30% increase on both the headline and core retail sales data in January. On a year over year basis, UK retail sales is forecasted to rise 3.50% in February on the core and 3.90% increase on the headline, down from 5.0% and 5.20% increase seen previously. 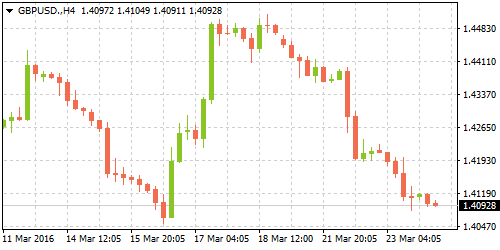 A disappointing print in the retail sales numbers could see the GBP continue its downside bias, but an upside surprise could see potential recovery on the cards which is not priced in.